Veeam… the All Blacks of virtualisation? Following 28 quarters of consecutive double-digit revenue growth, global tech giant Veeam Software is staking its claim as the All Blacks of virtualisation, enjoying a winning streak that is ripping up the market. 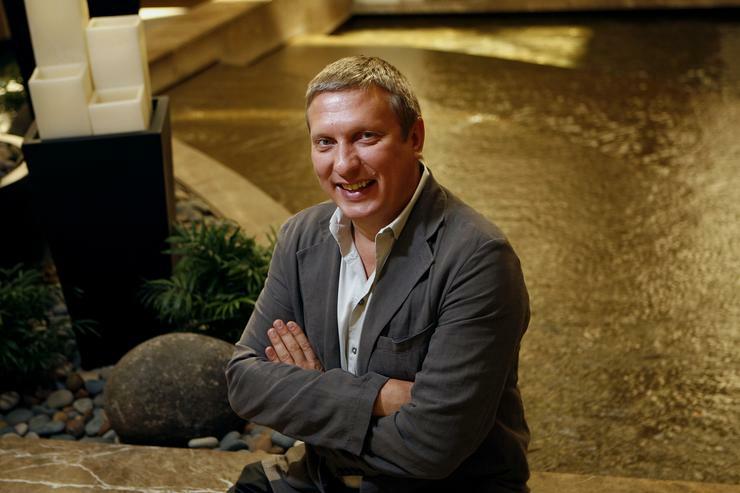 With a 35 per cent local increase in total revenue bookings for 2014, alongside 37 per cent year-over-year (YoY) growth in new license bookings revenue across the country, founder and CEO Ratmir Timashev is quick to acknowledge to crucial role New Zealand plays in the company’s quest for global dominance. “We see the New Zealand market as one of the world’s most advanced in terms of virtualisation and meeting the demands of the modern data centre,” says Timashev, speaking exclusively to Reseller News following the company’s FY 2014 results release earlier this month. Reporting a 40% rise in new ProPartners in New Zealand, up to 264, Timashev says the company, which was founded in 2006, is constantly on the look out for new partners, with the Kiwi market no exception. “It’s a very mature industry and because of this we’re always looking to expand our partner network,” says Timashev, who sold his previous IT management software company, Aelita Software Corporation, to Quest Software in 2004, which is now owned by Dell. As reported by Reseller News, Veeam currently has a total of 2,784 ProPartners across APAC to date, which includes 264 ProPartners in New Zealand, making up Veeam’s total worldwide partner base of 29,000 ProPartners. According to Timashev, the backup, disaster recovery and virtualisation management software provider is on the look out for a distinct brand of partner in New Zealand, one understanding of the modernising data centre as the company aims for a billion-dollar valuation by 2018. “We’re seeking Kiwi partners capable of advising customers in their adoption of the modern data centre,” Timashev adds. “Veeam has made significant investments in creating a modern data centre capable of keeping up with business demands and we’re actively seeking partners in New Zealand capable of executing on this strategy. With close to eight million virtual machines worldwide ensured by Veeam availability solutions, Timashev aims to further transform the modern data centre through ground-breaking technologies, technologies which he believes can solve “real-life” business challenges for organisations across New Zealand. Regionally, Veeam’s business across Asia-Pacific in 2014 grew by 45% in total revenue bookings while new license bookings revenue grew by 39%, with the company reporting a 14% increase in Net New Customers in New Zealand in 2014. But for Timashev, who maintains that the company’s plans to become a billion-dollar company by 2018 remain firmly on track, maintaining the company’s market momentum is critical to future success. While the All Blacks surrendered a world record 22-match unbeaten run in South Africa late last year, Timashev hopes to go one better than New Zealand’s greatest success story, carried by his solutions and flanked by his channel market.